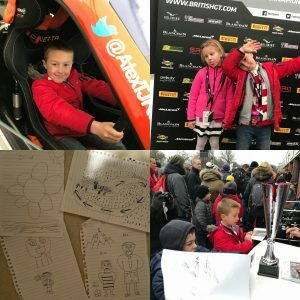 Alex Toth-Jones Racing | Oulton Park Round 1 – Battling the weather! 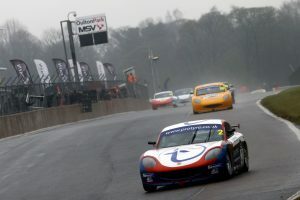 Oulton Park Round 1 – Battling the weather! Very wet conditions greeted us ahead of qualifying on Easter Monday. 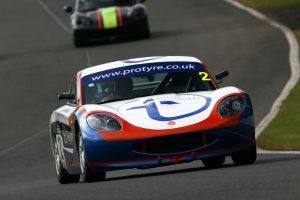 In Qualifying a mid-session Red flag left me with limited laps in which to secure my grid slot, but I managed to finish a solid sixth before the chequered flag flew. Race 1 still raining hard saw me keep my 6th position to the end. I could see my sights on a podium in Race 2 after a strong start to race two, and was running inside the top six going into the fourth lap but Sadly, when one of my rivals suffered a spin going into the Shell Oils Hairpin, I was left with nowhere to go and was forced out deep into the gravel with damaged – game over. Worsening weather conditions meant the meeting was abandoned before race three could take place, with that race to be rescheduled to a new date later in the year. “Even with the DNF in race two, it’s been a great weekend because it has cemented my knowledge that we are one of the quickest teams out there and we are capable of pushing for the podium places. “In challenging conditions, we took a strong sixth place in race one and we certainly had the pace to fight for a podium in race two. 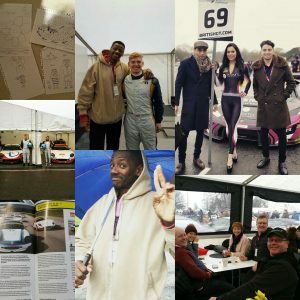 The car felt absolutely mega and it was just unfortunate that I got caught up in someone else’s incident; there was nothing I could have done. It was lovely to meet all my VIP guests from Tailored Resourcing & Accountancy & DALEC Electrical along with my mini VIP guests. Looking forward now to Round 2 at Rockingham at the end of April.